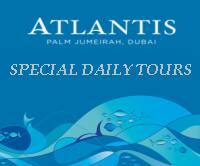 Welcome to Exotic Dubai Tours & Safaris! Greetings & thank you, for your visit to our web site. You have reached the right web site for your tours, desert safaris and hotel bookings. Being in Dubai for over 15 years we have provided our top quality services to numerous of our customers. Please feel free to contact us in Dubai. We have holidays packages in Dubai and best hotel rates in Dubai. Explore Dubai at ease we pick you up at the airport and transfer you to the hotel. Tour of Dubai, time for shopping, Evening desert safari see the east coast of UAE back to airport in time for your onward flight. Experience Emirates of Dubai, Al Ain and Abu Dhabi visit the history and culture of Emirates special Guided tours Cost US$ 1887 Per person Contact us to book this tour. This is a in-depth historical tour of the Arabian land. You will visit some archeological sites and also visit the inside of Emirates and Oman the places very little visited by tourists. Visit Dubai transiting short time. These Programs are designed to offer you more in short time. We can also Tailor make your tours according to your wishes. 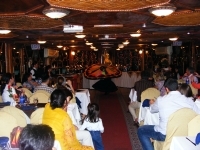 Learn and Explore the Arabian culture in The UAE visit the modern Dubai and the UAE's culture hubs Abu Dhabi & Al Ain. know all aspects of Emarati culture. From the rough drives in the desert to the mountain treks and camping in the Hajar mountains. We will design tours to fit your taste and budget. Book a tour of Dubai ranging from 3 days simple shopping transit trip to 15 days lengthy culture adventure and leisure tours.